Wedding venues contribute about 60 percent to the success of a perfect wedding. It is one of the critical decisions that you need to make with a sober mind, putting into consideration a number of factors. Being an important day of your life, you should make it memorable, and save yourself the embarrassment that comes with poor planning. A wedding venue matters a lot since it will also affect how your wedding will be conducted. You need to take time to consult professionals or couples who have married before you. You can conduct your wedding in an open or enclosed space. However, most people prefer open areas. 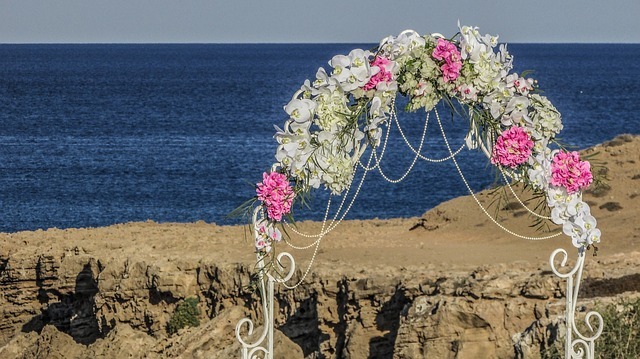 Here are the benefits of outdoor wedding venues. Modernization has shattered most of the wedding cultures that couples used to practice in the past; from the dressing code, to the wedding locations. Most couples prefer being unique in different ways, and this is the only way to make your special day outstanding. Weddings used to be conducted in churches, but lately, more and more couples are preferring outdoor weddings. It is a unique trend that people have embraced and are practicing widely. It is usually one of the best experiences that a couple can have. Most weddings are carried out under a lot of tension. Couples, flower girls, the bridal party, the groomsmen and even the invited guests are normally in a tense mood with a lot of uncertainty. However, an outdoor wedding venue will bring a relaxed mood to everyone. It helps couples to feel relaxed with enough supply of fresh air. This is one of the reasons why more and more couples are resorting to outdoor wedding locations. It helps release the pressure and tension that comes with wedding planning and organizing. From research, outdoor wedding pictures are more beautiful than the ones taken indoors. There is enough supply of natural light and a beautiful scenery. Light is one of the key things needed to take a perfect photograph, and most professional photographers will agree with this. An outdoor wedding will give the photographer and the couple lots of choices for great photos. Wedding venues are without a doubt a key determinant on how your big day will turn out. Outdoor weddings will help save more money because most of the decorations needed are naturally provided by Mother Nature. Couples can take advantage of this by conducting their weddings outdoors. You can decide to conduct it next to a water body or hill to supplement the beauty. Additionally, you can take advantage of the beautiful trees in a garden, and have your special day there. However, you need to be careful when selecting the venue, and consider other factors apart from the beautiful scenery, such as the weather. Conducting a wedding in an enclosed place like a church can sometimes be tricky because there may be other weddings planned for that specific day. Such scenarios will force you to rush your wedding in order to create more space for the next couple. However, with an outdoor wedding, you have plenty of time to enjoy all your events without a hurry. It will be you and only you in your perfect venue. Furthermore, you can conduct both the mass and the reception at the same venue. It is time you consider breaking the norm associated with weddings, and be unique in your own way. Embrace the outdoor wedding venues and enjoy the immense benefits that come along with them. Today, an outdoor location is the way to go to ensure a perfect wedding.